The PENNY Market App makes your shopping easier. A smarter way to shop with the PENNY Market App. 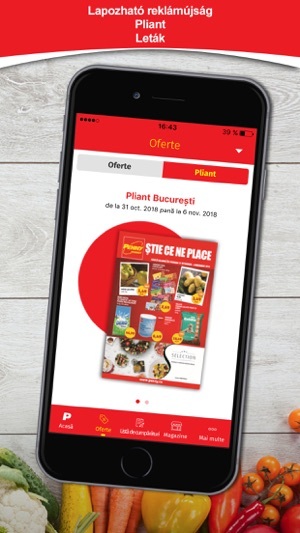 Have from now on everything for your shopping trip easy and quickly at your fingertips: Latest promotions and news, special weekly offers, easy to create shopping list and smart market finder incl. opening hours. Add your digital PENNY Card – if you have signed up only for the new PENNY Card, you can add your digital card by entering your verification code. We made some changes to provide you a better service and improve the App. In the latest version of the PENNY Market App we improved the app's design and some functionalities for you! Additionally we made some changes to provide you a better service. Thanks for using PENNY Market App. Your feedback and ideas are always welcome. This app has really improved my shopping experience with Penny. I love the shopping list feature! Excellent app wirh great design and content. Este o aplicație destul de simpla. 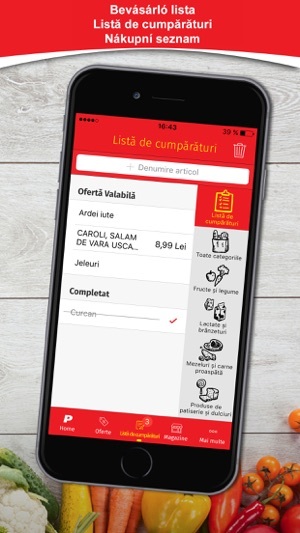 I-am acordat doar 4 stele, pentru ca încă nu s-a implementat adăugarea cardului Penny in aplicație.